02.12.11 - 43/365, originally uploaded by Sarah (SarahDanyelle). 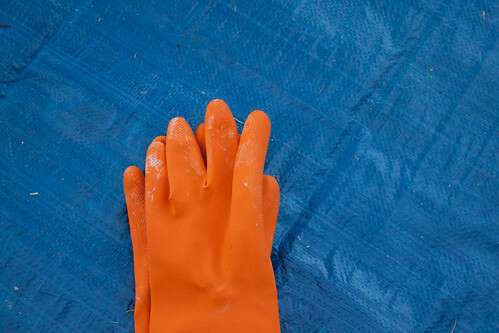 Started working on a project today that invloves that blue tarp and the orange gloves. I won't say exactly what it is because it may never get finished or turn out horrible.